NEW YORK — Christie’s kicked off the fall auction season in New York on Monday a Vincent Van Gogh leading the way at US$81.3 million with robust sales of impressionist and modern art. Laboureur dans un champ, painted by the tortured Dutch genius from the window of a French asylum where he had committed himself sold to a buyer on the telephone after a frenzied four-minute bidding war having been valued at $50 million. Van Gogh began the painting of a ploughman tilling the soil in late August 1889 and completed it on September 2, the first time he picked up his brushes for a month and a half after an epileptic fit. He died the following year. Christie’s said it sold for $81.3 million, including the buyer’s premium, well over its pre-sale estimate of $50 million. It was just a hair’s breath from the auction record for a Van Gogh, set in 1990 at $82.5 million in New York for "Portrait of Dr Gachet," although that price would be much higher if adjusted for today’s inflation. 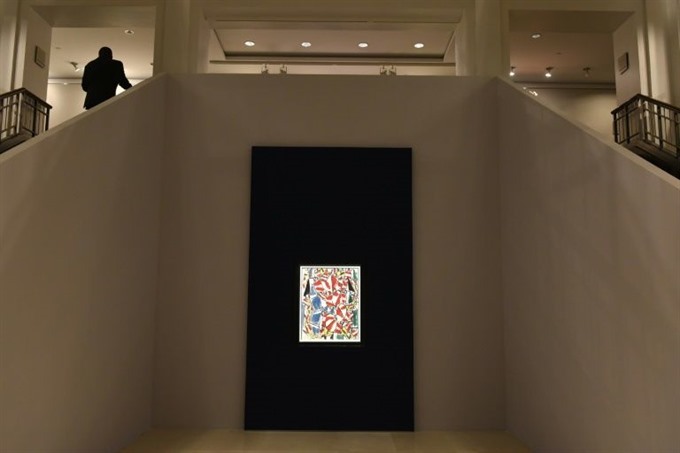 The other chief highlight was Contraste de formes, a 1913 Fernand Leger abstract that scored $70 million, setting a new world auction record for the artist, the auction house said. Rene Magritte’s L’empire des lumieres -- a nocturnal bourgeois street scene -- sold for $20.56 million, which Christie’s said set a world auction record for the Belgian surrealist. Painted in 1949, it was the first of 17 versions of the picture that Magritte produced in oil paint over the next 15 years. Christie’s said its flagship evening sale of impressionist and modern art netted a total of $479 million. Pablo Picasso holds the world record for the most expensive piece of art ever sold at auction. The Women of Algiers (Version O) got $179.4 million at Christie’s in New York in 2015.